These lovely little Christmas bookmarks carry a special Christmas message, with words from the lovely Christmas carol In the Bleak Mid Winter. "What can I give him, poor as I am?" This Christmas money envelope is simple printed, cut out and folded! Featuring a wise man or king on the front, we've included a gift to use as a little "sticker" on the back to seal it. Enclose a gift inside or just use it to write a message. Print out this cute foldable Christmas money envelope with a Christmas Nativity design. Cut out carefully, fold, and use the heart as a "sticker" to seal. Here's a lovely way to engage children with the Nativity story. 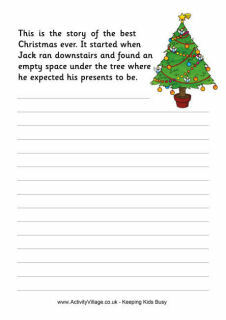 Ask them to finish the story of that special night, as started by the inn-keeper in this printable. "I felt very sorry for the young couple who knocked on my door..."
"Today was the day of the school Nativity play, but Josh still hadn't learned his lines..."
We've given you the story starter - what will happen next in this Christmas story? Tell the Christmas story with the help of these Nativity felt board printables. Just print the pages onto special inkjet "fuzzy" fabric and cut out. Alternatively, print onto card and glue a small piece of felt or velcro to the back of each cut out illustration. 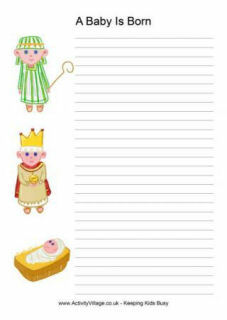 This 6-page print-out provides all the characters you need to put on your own Nativity finger puppet show. Just cut out our lovely characters and follow the simple instructions. We even have a stable to use as part of the backdrop! Download and print the pdf file below. Can children use playdough to create their own nativity scene in our stable? This set of word cards includes 28 words relating to the story of Jesus' birth, with two spare cards in case you want to add extra words.